It was reported today that Apple went ahead with partnering with both AT&T and Verizon to sell iPads at their retail outlets. 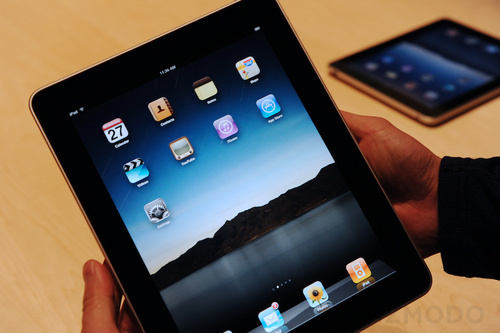 The iPads will start to sell at their retail outlets beginning October 28. While AT&T will sell the iPad 3G model, Verizon will be selling Wi-Fi only iPad bundled with Verizon’s Mi-Fi 3G hot spot. We all expected Apple to have secretly made a CDMA model iPad but that did not happen. The bundles offered from Verizon are quite pricey. Verizon will be selling the iPad + Mi-Fi for $629.99 for a 16GB version with $729.99 and $829.99 for 32GB and 64GB versions respectively. This is the same price as the iPad 3G models. The data plan which is separate costs $20 per month for 1GB of data. Verizon will also sell an iPad without the bundle as a product by itself. iPad production issues has plagued the product since its launch. Both AT&T and Verizon have to wait until October 28 to get their iPad shipments to their stores. With this new announcement the iPad will be available in about 4,200 more stores across the US. It is clear, Apple aims at taking over the tablet market and this move will only work in its favor. iPad in nine more countries coming this Friday! Next Generation iPad 2 coming in Q4 this year – New features! Next Weird? A Wireless Sound Hat!